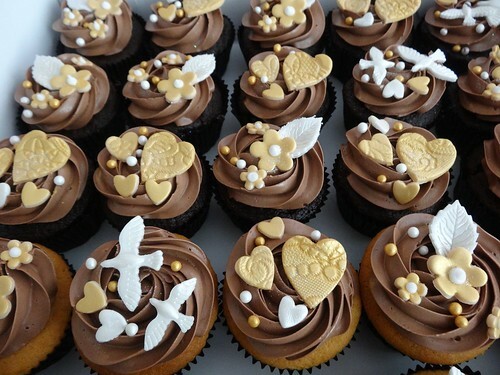 Romantic Chocolate Cupcakes, a photo by CAKE Amsterdam - Cakes by ZOBOT on Flickr. These cupcakes were made for the bachelorette party of my assistant cake decorator Avi Krispin who is to married TODAY! Stay tuned for her cake, I'll be posting it tomorrow!